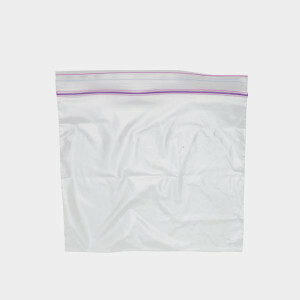 Food contaminates the recycling process, so rinse and dry your Ziploc bags before recycling. Reduce your footprint by reusing storage containers—especially ones made out of glass or aluminum—rather than grabbing a new plastic bag every time. Check out this guide to Easy Ways to Wash, Dry and Store Used Plastic Bags.